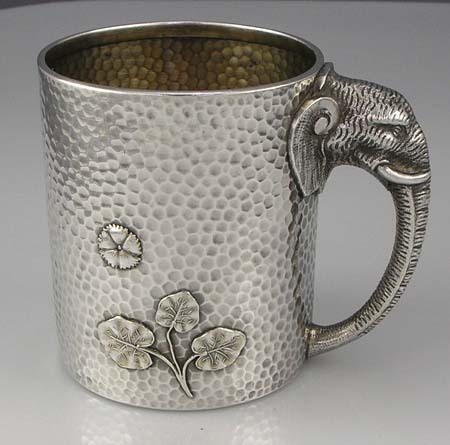 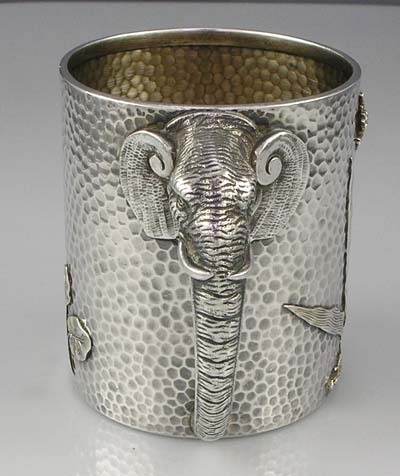 A rare sterling silver cup circa 1880 by Duhme and Co of Cincinnati Ohio The handle is in the form of an elephant. 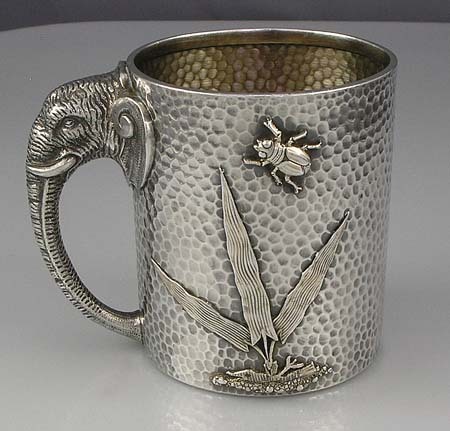 The body is hand hammered and applied with a bug and plants. 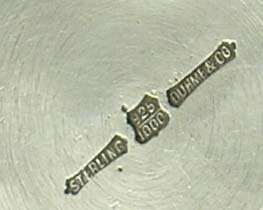 Never monogrammed.